George Lewis, Professor of American Music at Columbia University, is a Fellow of the American Academy of Arts and Sciences and a Corresponding Fellow of the British Academy. His other honors include a MacArthur Fellowship (2002) and a Guggenheim Fellowship (2015). 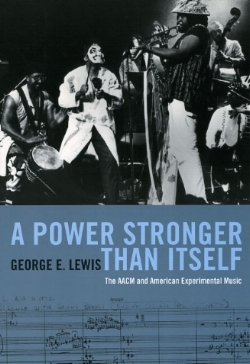 A member of the Association for the Advancement of Creative Musicians (AACM) since 1971, Lewis is the author of A Power Stronger Than Itself: The AACM and American Experimental Music (2008), and the co-editor of the two-volume Oxford Handbook of Critical Improvisation Studies (2016). His creative work is documented on more than 150 recordings, as presented by the London Philharmonia Orchestra, Mivos Quartet, Ensemble Dal Niente, Spektral Quartet, Talea Ensemble, International Contemporary Ensemble, and others. His opera Afterword (2015) was most recently performed at the Ojai Festival, with additional performances in the USA and Europe.